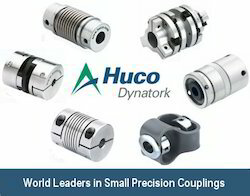 Pioneers in the industry, we offer coupling and flexible coupling from India. FFLEXITECH INDUSTRIES is one of the prominent names engaged in the manufacturing and exporting of high quality couplings such as Flexible Gear Coupling, Pin Bush Coupling, Muff Coupling, Nylon Gear Coupling, Star (jaw) Coupling, Brake Drum Geared Coupling, Brake Drum with Flexible Geared Coupling, tyre coupling, rigid coupling, chain coupling, gear coupling, Pulley, sprocket, shaft, gears & worm gear, worm shaft, power transmission component, other precision machine components as per drawing or as per sample. We offer Samiflex flexible coupling, which are designed and developed according to the international quality standards. Samiflex flexible coupling are available with the combination of spacers, discs, flywheel and floating coupling. We also offer high quality Samiflex flexible coupling and Samiflex Elastic coupling. 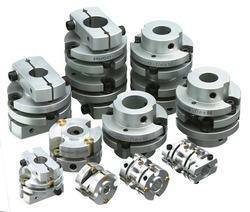 STS Metal Bellow Couplings are exported to various countries at competitive prices.